In the early summer of 2004, I got a phone call from Steve Jobs. It turned out that he wanted me to write a biography of him. This is a book about the rollercoaster life and searingly intense personality of a creative entrepreneur whose passion for perfection and ferocious drive revolutionized six industries: personal computers, animated movies, music, phones, tablet computing, and digital publishing. You might even add a seventh: retail stores, which Jobs did not quite revolutionize, but he did re-imagine. Plus, he opened the way for a new market for digital content based on apps. This is also, I hope, a book about innovation. 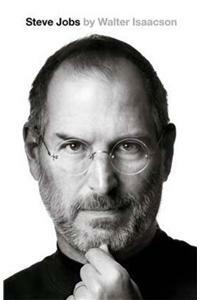 Jobs stands as the ultimate icon of inventiveness, imagination, and sustained innovation. He knew that the best way to create value in the 21st century was to connect creativity with technology, so he built a company where leaps of the imagination were combined with remarkable feats of engineering - Walter Isaacson, from the Introduction of Steve Jobs.